Massie Ritsch advises FutureEd on communications. A former education and politics reporter for the Los Angeles Times, he has served as Executive Vice President for Public Affairs and Engagement at Teach for America and as Assistant Secretary of Education for Communications and Outreach in the Obama administration. 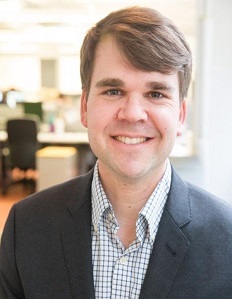 Ritsch has also served as communications director for the Center for Responsive Politics, where he appeared regularly in the media, and as a public affairs advisor in Los Angeles for nonprofit, corporate and government clients. He now runs 5e, a communications, marketing and branding firm in Washington. Ritsch holds a bachelor's degree in politics from Princeton University.